Scaler can highlight CAGED patterns, use C button. Added Scale (key) finder: search scale by copy pasting guitar tab or fill in notes in the search box. 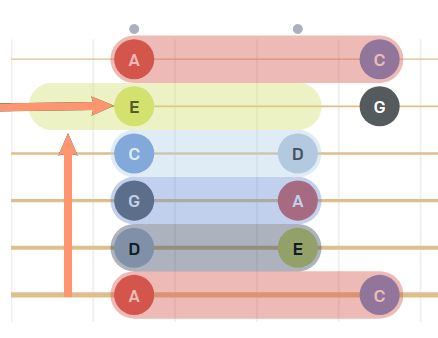 Added fretboard size to Scaler, Pentanizer, Solorizer Modenizer and Arpeggios diagrams. 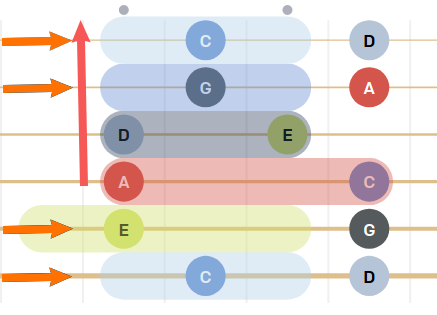 Added enharmonic view: enharmonic/sharps/flats and first version of Solorizer: Major/minor scales colored by pentatonic shapes, e.g. C major is combination of C, F and G pentatonic scales. Small update: added 2017 serials range for Martin Guitars. Added arpeggio diagrams. First cut...work in progress. Scaler and Pentanizer: added button to highlight major or minor relative key (note), for scales that have same shapes. 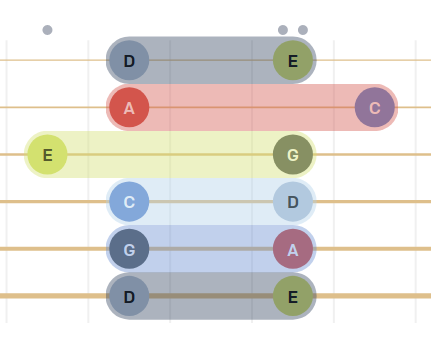 Added Modenizer based on Pentanizer, scale modes and Harmonized major scale mode visualization (Toggle harmonized view with H button). Some code cleanups and font rendering improvements, also added flat/sharps button for both, Pentanizer and Scaler app. Pentanizer different look at pentatonic shapes.